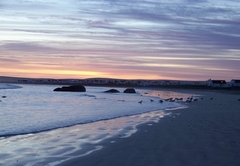 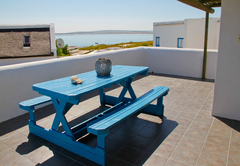 On The Rocks Paternoster is a property providing self catering in Paternoster for tourists visiting the Cape West Coast region. 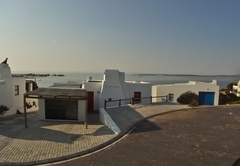 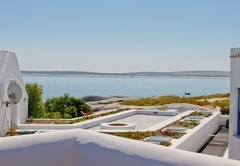 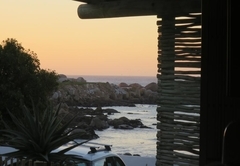 On The Rocks is perfectly located in a peaceful cul-de-sac in Paternoster with spectacular views of the bay. 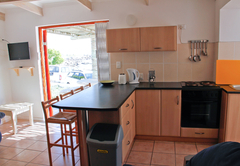 The town centre is within easy reach and the beach is less than 100 meters from your doorstep. 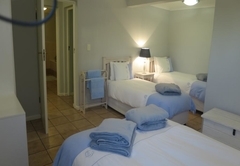 This is a great place for a relaxing getaway with family or friends. 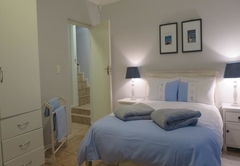 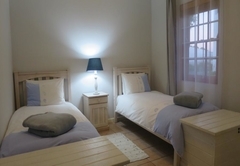 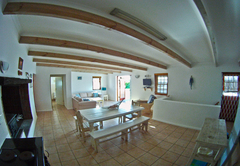 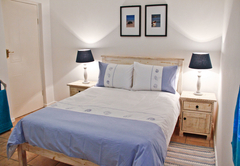 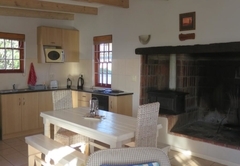 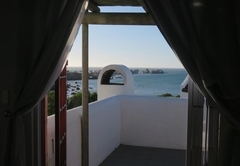 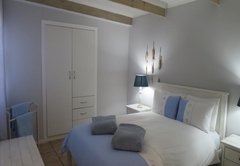 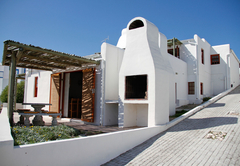 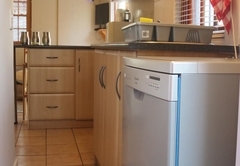 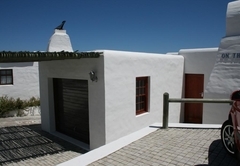 The self catering accommodation at On The Rocks Paternoster is in 2 self-catering apartments / units, each with its own private entrance and braai facilities. 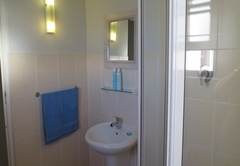 The lower unit has two bedrooms, one with a double bed and the other with two single beds. 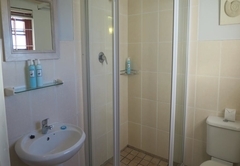 There is a bathroom with a bath and a shower. 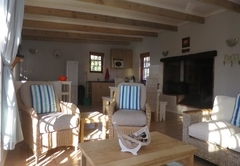 The unit is open plan and has a lounge and kitchen area with a fireplace. 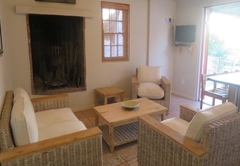 Outside there is a patio with BBQ / braai facilities and private entrance. 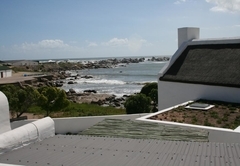 The upper unit is level with the top of the granite boulders and has sea views. 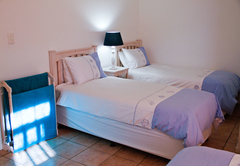 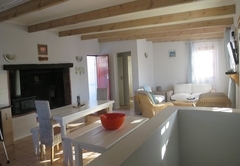 It has two bedrooms, one double bedroom with a double bed and one family room with a double bed and two single beds. 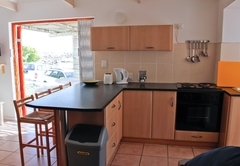 There is a spacious living area and a kitchen. 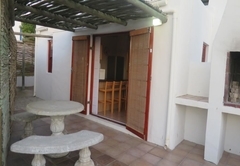 Outside there is a large balcony with braai facilities. 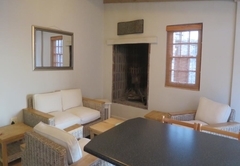 The lower unit comprises two bedrooms (1 double and 1 twin), full bathroom with bath and shower, an open plan lounge and kitchen area with fireplace. 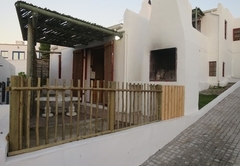 Patio with BBQ / braai and private entrance. 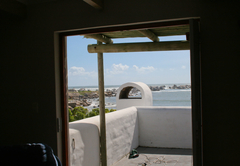 The upper unit is level with the top of the granite boulders with sea views. 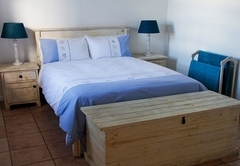 It comprises two bathrooms, one double bedroom with double bed and one family room with double bed and twin single beds. 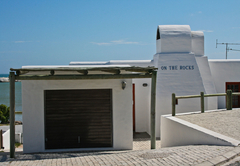 Response timeOn The Rocks Paternoster typically responds to requests in 5-10 minutes.